Along with clothes, manners, and ways of speaking, alimentary habits and food choices in the Middle Ages and the Renaissance were relevant indicators of social standing, economic status, and more broadly cultural identity. Conceptions of food in the Renaissance were also still influenced by the humoral-Galenic theory, which said that to keep the different “humors” of the body in balance, a good diet had to be the result of foods balancing the moist/water and the dry/air, the warm/fire and the cold/earth, recalling again the four Aristotelian elements. These prescriptions were tirelessly repeated by authors in Italy, the Mediterranean, and Europe in general, from the fifteen well into the sixteenth century, with only minimal variations. Most of them also insisted on the dangers of eating vegetables and fruit, as they were thought to be responsible for creating putrefaction in the stomach. It seems probable that this negative judgment derived mainly from the association of vegetables with peasant’s food or with the “lowest” form of nutrition. By the end of the Renaissance, however, greens or salad had gained a significant status as a trope in the literary imagination of the Italian Renaissance, alluding to poetical play, the display of refined manners, good taste, and Italian botanical, agricultural, national, and cultural identity. The discourse of salad was not univocal, as it could be used in defense of delicate and upper-class tastes or of more earthy gusto; it could serve bernesque poets and cutting anti-bernians like Aretino as well. 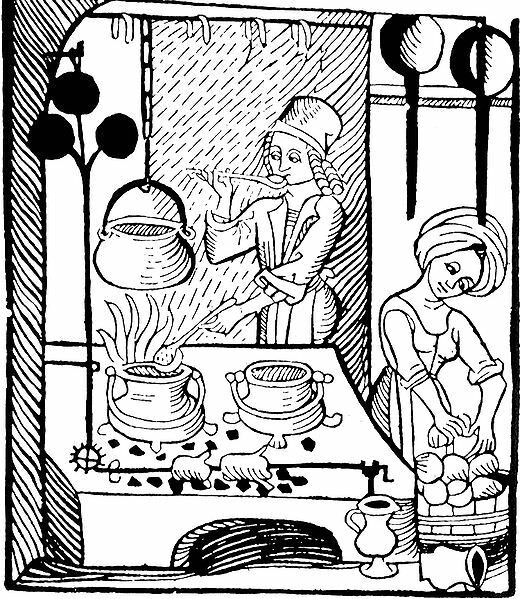 But the traditional link – established in Galenic medicine – between ideal social hierarchy and the consumption of vegetables and greens had been significantly broken by the end of the sixteenth century, and a new food fashion had emerged that was truly a matter of taste in all senses.